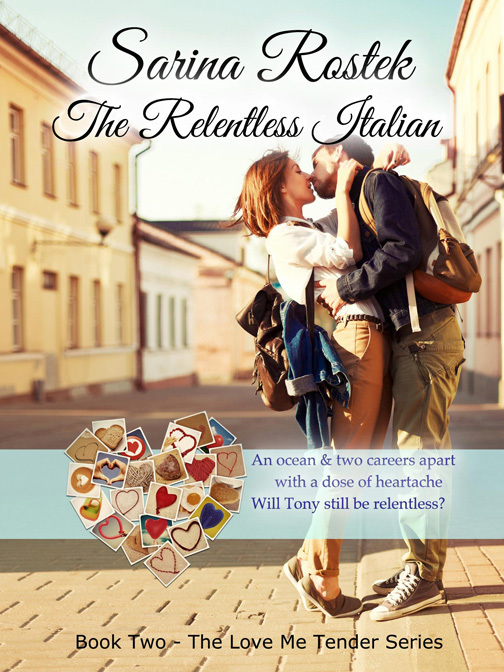 Sarina Rose has released The Relentless Italian available in both print and ebook formats on Amazon. A delicate and awesome novel of a love affair during the crisis of the sexual and feminist revolution of the 1960's. Love at first sight, jealousy, secrets, death, forgiveness, friendship and mothers drive the action along with a villain or two. Tony Andrisoi falls hopelessly in love with Sophie a fellow student at St. Joseph College in New Jersey. He is the hottest guy in the senior class. There is no shortage of available woman for Tony. However, Sophie Carrieri draws him like a magnet to the North Pole. However his singing career in Italy needs his attention after graduation. 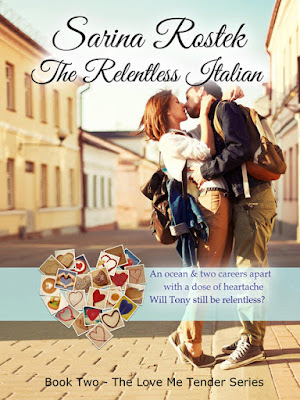 Will his loving advances convince Sophie to abandon her plans to go to Cornell Veterinary School and go with him to Rome? Sophie is fascinated with Tony's attention, but determined not to become deeply involved in romance before she completes studies at Cornell. She comes to adore Tony. Nevertheless a streak of jealousy, a devastating hospitalization, and three mothers threaten to derail the relationship before it gets off the ground. Ms. Rose is a member of Romance Writers of American and Space Coast Authors of Romance. Her addiction to the Mid-20th Century stems from her own life experiences. "For me, writing about this era is like writing a memoir only better. I can change intentions and roles making my memories more colorful." 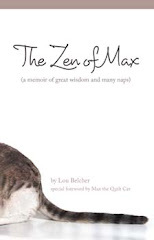 She lives in Melbourne with her husband and their two dogs: Andy, a brillliant white labradoodle and Cici, a blond blind Shih Tzu. " Besides writing, Ms. Rose enjoys quilting gifts to friends and family. "I love quilting blankets and wall hangings. I learned to sew at seven or eight years old. My grandmother worked on childrens' coats in the garment district in New York City. Sewing is in my genes. All my aunts sewed and inspired me. My parents supported my fabric habits as well as any other art form in whch I chose to dabble."